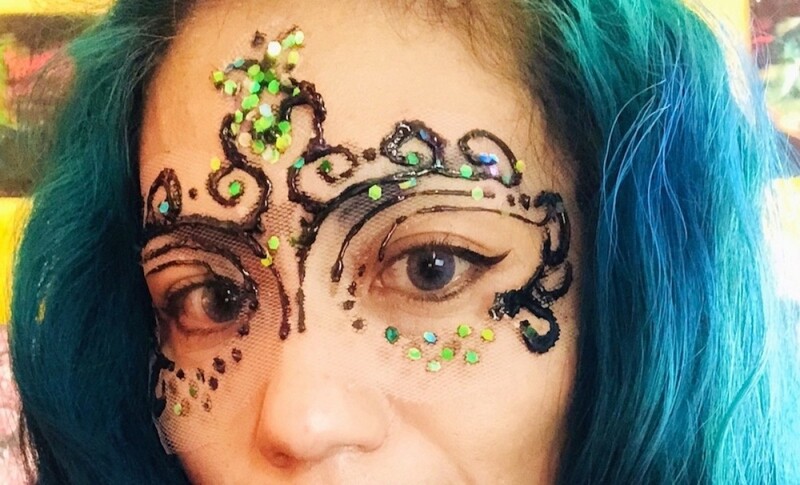 You can make a beautiful sheer masquerade mask using tulle, puffy paint, and some glitter. 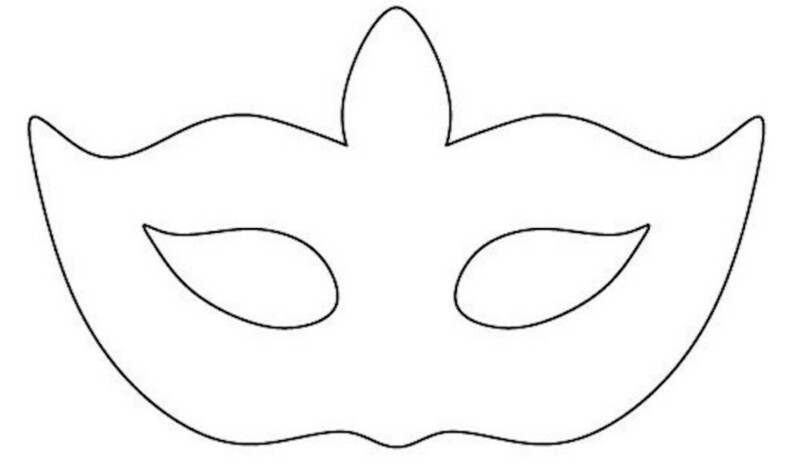 Use the mask template I've provided and get creative with your design. 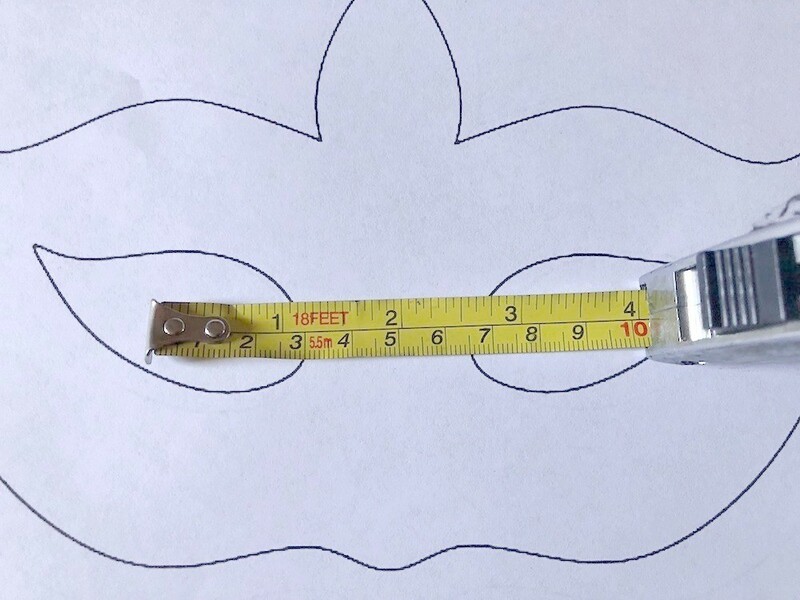 This is a fun craft for all ages. 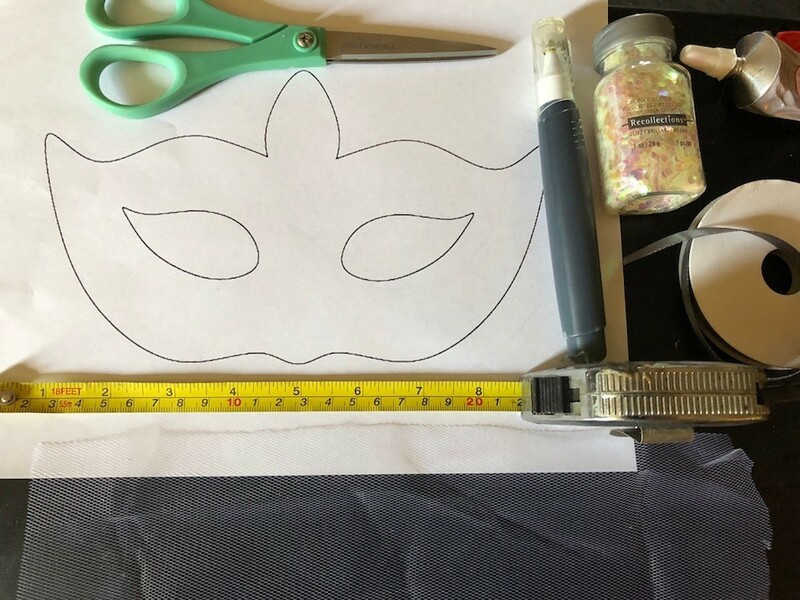 ivory or cream tulle, 10" x 5"
Print out the mask template and measure your features to see if you need to make the mask printout bigger or smaller. 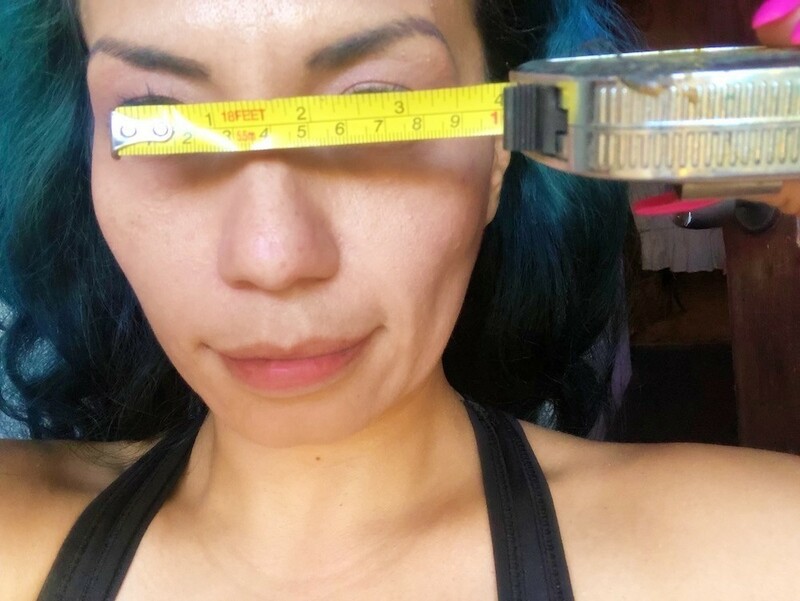 Compare your measurements to see where your eyes will be. 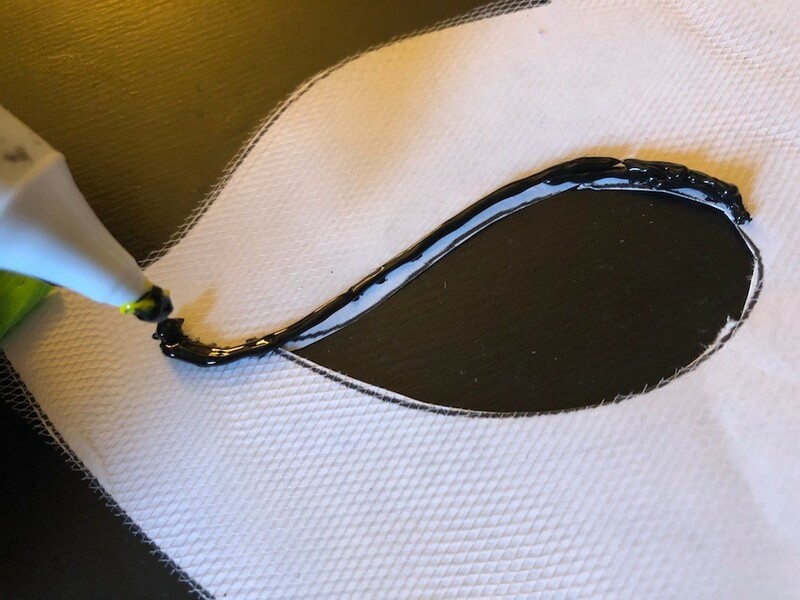 You can use a pen to change the mask dimensions if needed. 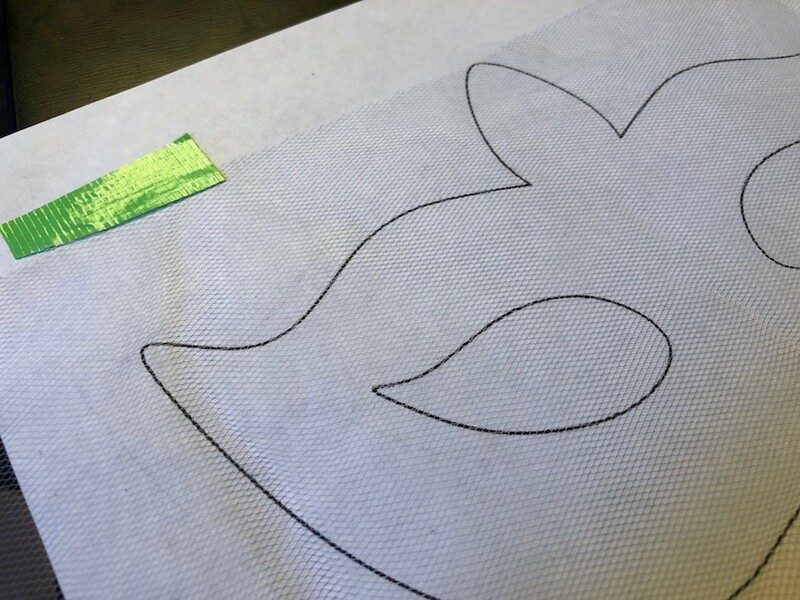 Tape the piece of tulle down onto a piece of parchment paper (or clear wax paper) that is on the template. Make sure you can see the mask lines. As you cut out the mask, move the pieces of tape to hold the tulle down firmly. 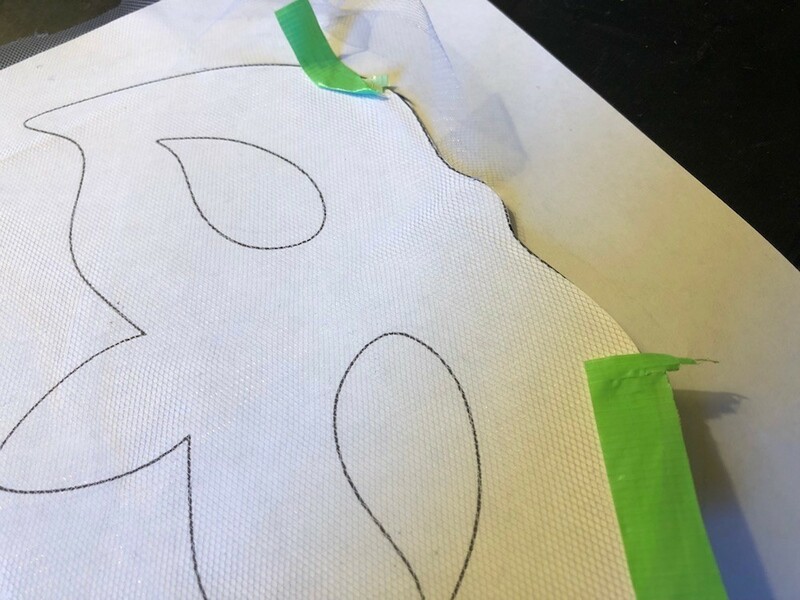 Tape the layers down onto a work surface. 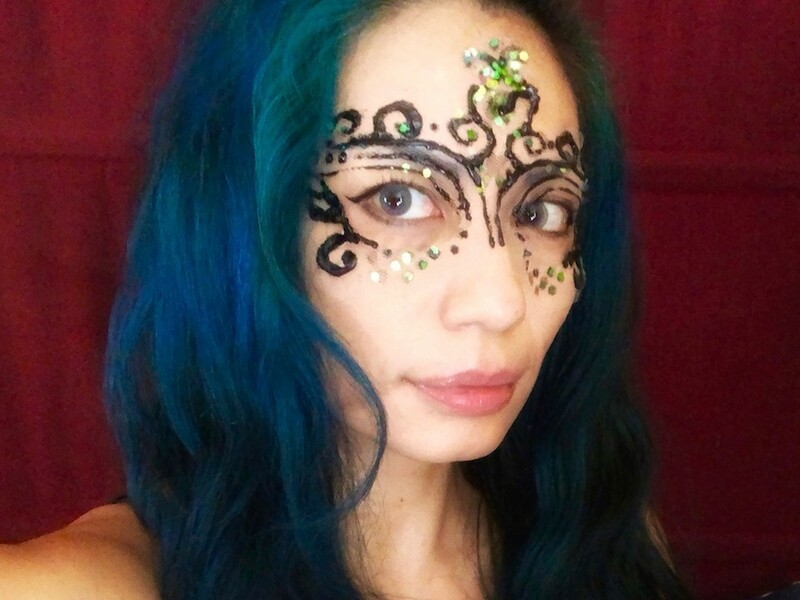 Use the puffy paint pen to draw some designs. I started above the eyes, then added swirls upwards. 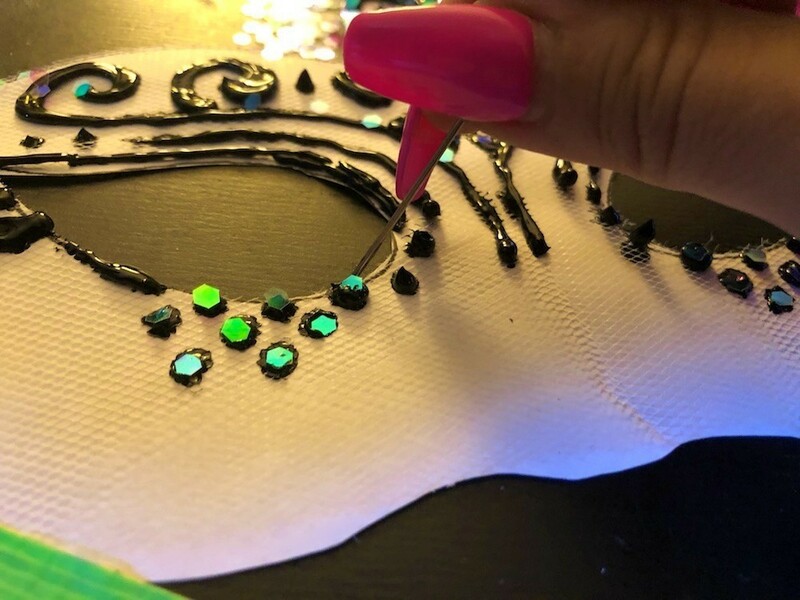 If you're using larger glitter pieces like I did here, wet the tip of a pin to pick them up and place them strategically. 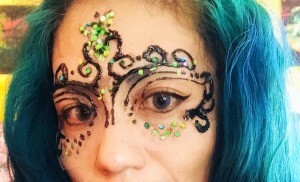 If you're using fine glitter, just dust on top of the paint. Allow to dry completely. 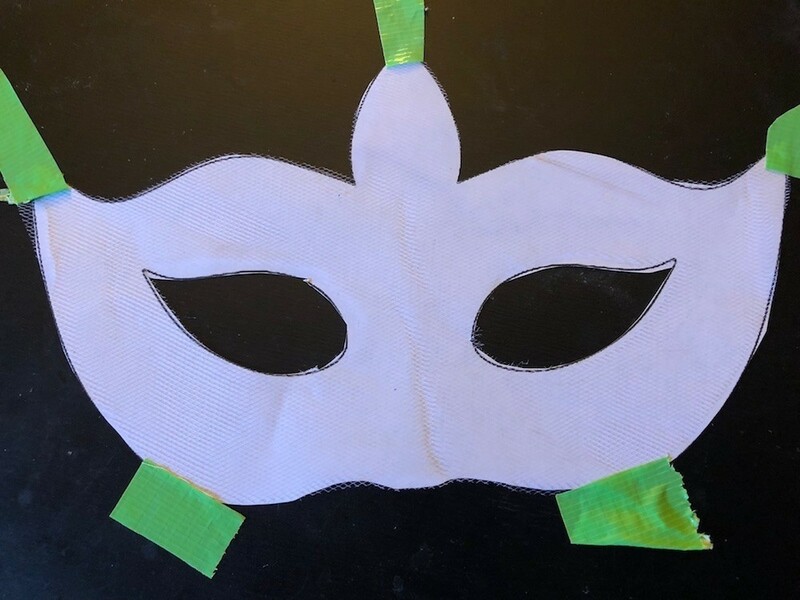 Gently peel the tulle mask off the paper. 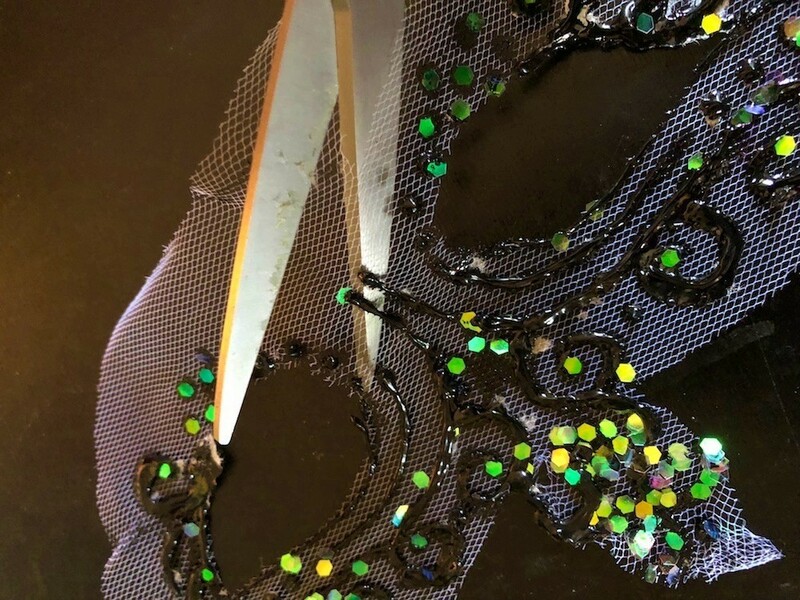 Cut away any excess tulle. 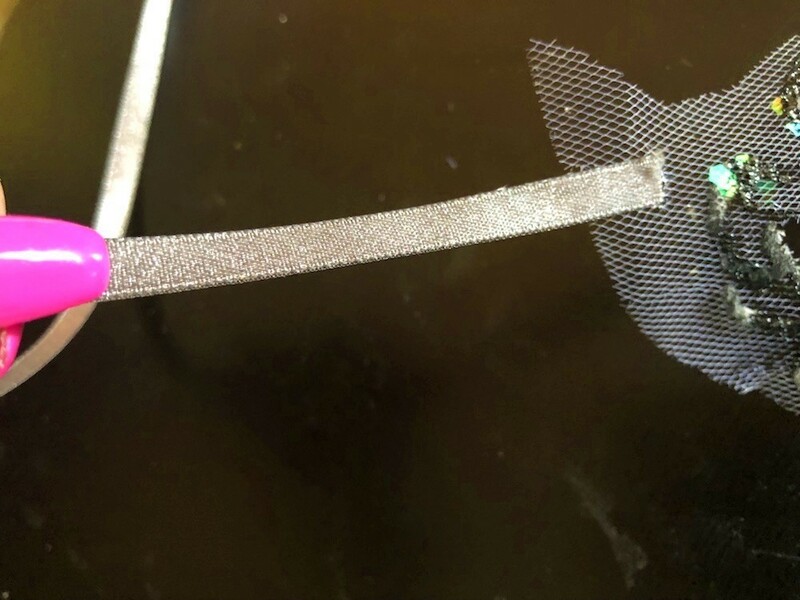 Glue the pieces of ribbon down on the inside of the sides of the mask. Allow to dry. 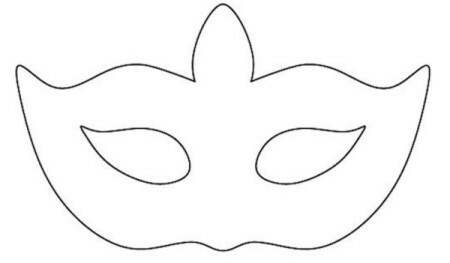 Fasten mask on above your ears and tie behind your head.